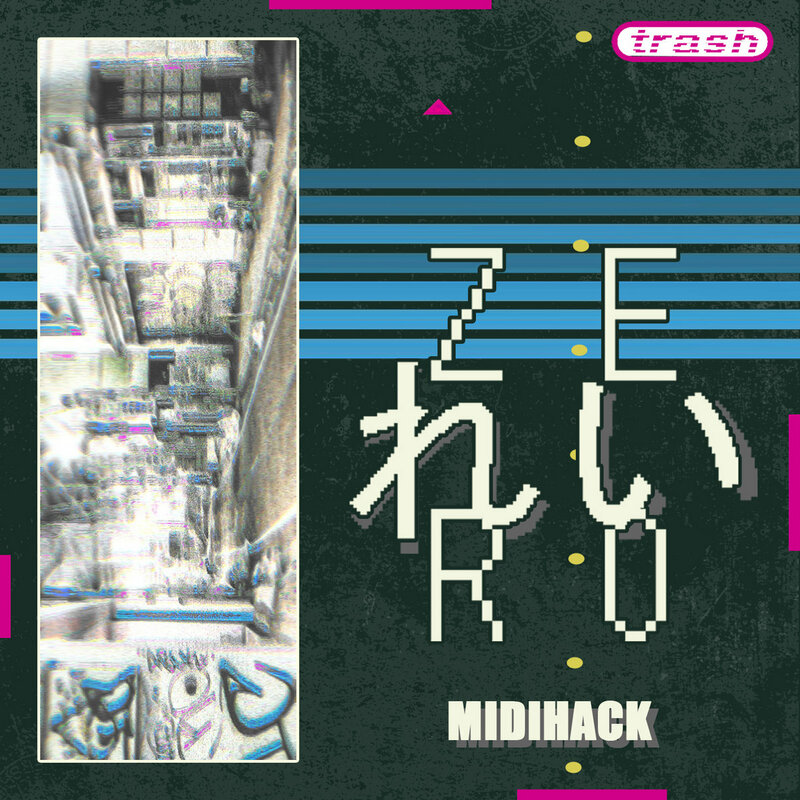 “MIDIHACK” is kind of like an album where your dreams suddenly turn into nightmares and nothing makes sense anymore and it’s created by someone who managed to turn its own style on it’s heel and give it a drastic makeover. Zer0 れい. When you first play the album, you get mixtures of seapunk and hardvapour in there. There is tons of harsh noise and dramatic urgency that flows within the album through it’s usage of thumping drum patterns, discordant synths and pads and plunderphonics so chopped up that you wouldn’t know where the origin was. It feels like a rush the first time you play it but once you get through the initial feeling than you’ll find sounds that are not only interesting but mesmerizing at the same time. The work is all originally produced too. The artist behind it shows his skill in making a dystopian cyberpunk atmosphere thanks to its intricate knowledge of sounds, aesthetic and feeling. There are a lot of elements mixed into the stew that somehow shouldn’t work but oddly enough does; outdated synths, broken synths, that sort of thing. It may not be melodic but in a genre like vaporwave, that doesn’t seem to matter too much thanks to the broad definition of music it affords as well as the amount of experimentation allowed. While it may not be pleasing to the ears, this type of stuff is an example of what Zer0 れい is truly capable of. It’s kind of like art in a sense, it may not appeal to everybody but boy is it good art; you can clearly hear the texture and the detail and the care that went into this type of work and everybody should appreciate the work that Zer0 れい has put in. It’s not only well made but it’s good intentioned and excitedly defiant. If you’re into that kind of stuff, you should grab a copy right away.